Gym quotes: Less talk. More do. 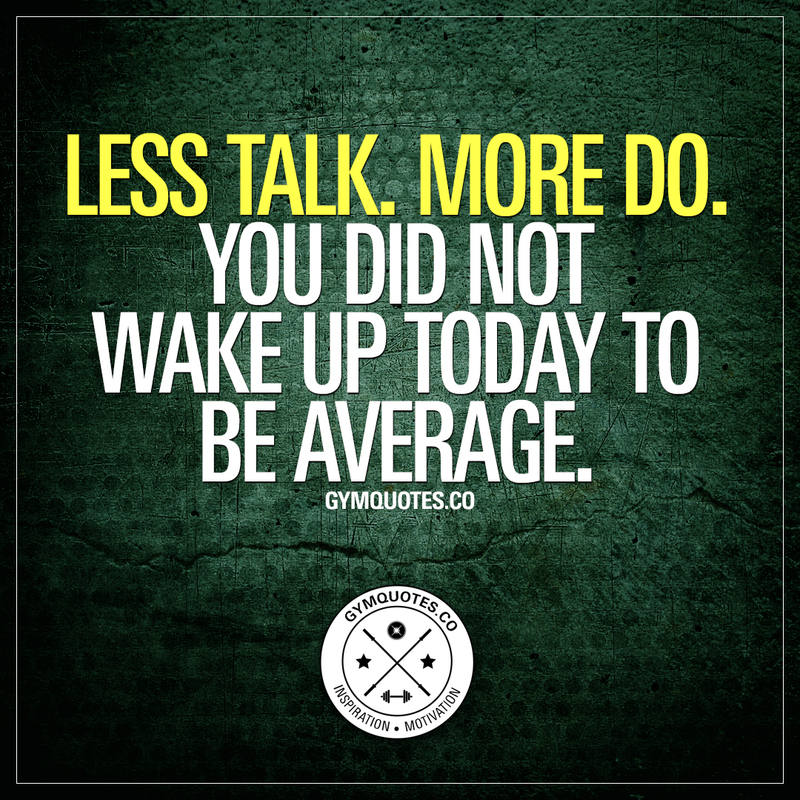 You did not wake up today to be average. Less talk. More do. You did not wake up today to be average. And this is not just about your health and your gym life. If you have a dream when it comes to your professional life..
You deserve more than average. Period. This “Less talk. More do. You did not wake up today to be average” quote (image and text) is copyright © Gym Quotes 2018. All rights reserved.